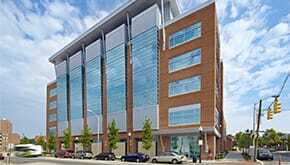 The Maryland Forensic building was the first CM at-risk project for the Maryland Department of General Services. Curtain wall system that uses low E glass with argon gas which can be as much as three times more energy efficient than standard single glazed glass. The design also utilizes use of sensors to turn off lights in unoccupied spaces, and water conservation measures on all plumbing fixtures. 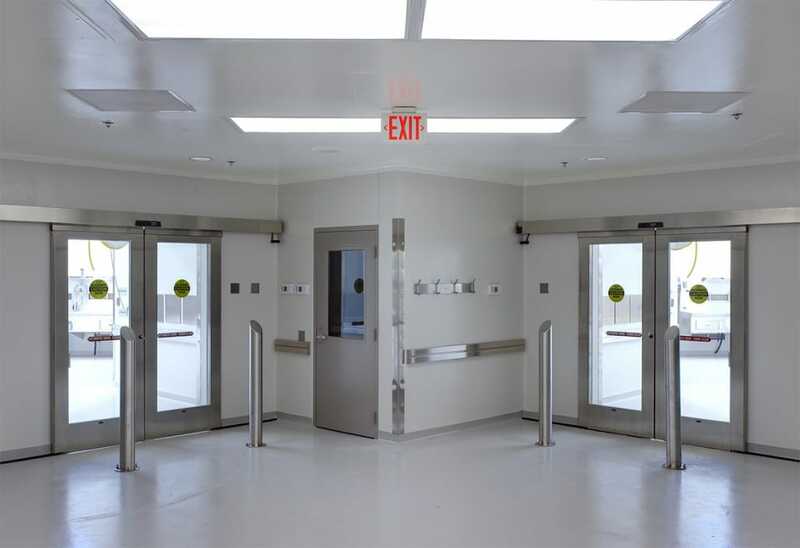 Building also has variable speed controllers on all fans and pumps, night set back operations on all HVAC systems, use of high-efficiency air cooled chillers, and the HVAC system is designed to cool the computer rooms via outdoor air in the winter time so that the load on the chillers are minimized. 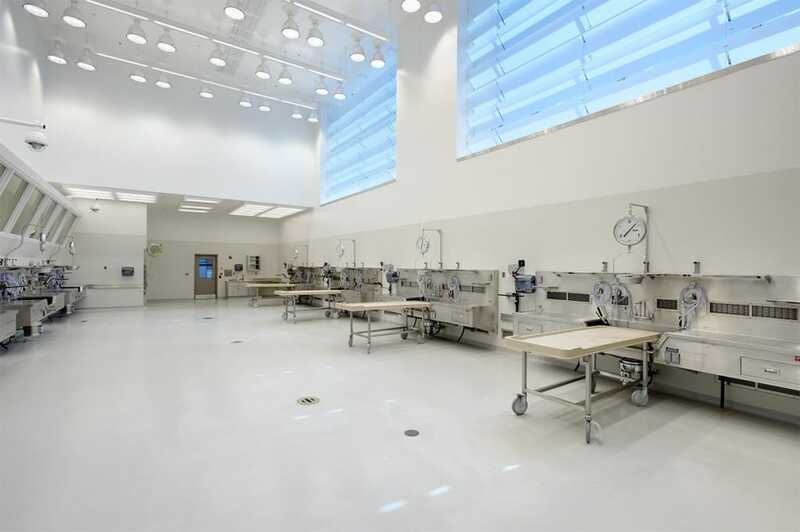 The forensic medical center in Baltimore, MD is a top of the line, state-of-the-art facility. The center aids the forensic team and their uniquely specialized mission of accurate, timely, dignified, and compassionate death investigative services. The building, which serves the Office of the Chief Medical Examiner (OCME) is designed to meet biosafety level two (BSL-2) and biosafety level three (BSL-3) laboratory requirements and consist of four functional areas: Medical Examiner and administration, main autopsy, special procedures autopsy, and laboratory space. Due to the highly specialized functionality of the building, and the requirement to the vast majority of the spaces require 100% outside air, the building was not designed for LEED certification. However, many energy efficiencies have been incorporated into the design including variable speed controllers on all fans and pumps, night set back operations on all HVAC systems, use of high-efficiency air cooled chillers, and the HVAC system is designed to cool the computer rooms via outdoor air in the winter time so that the load on the chillers are minimized. The building contains a curtain wall system that uses low E glass with argon gas, which can be as much as three times more energy efficient than standard single glazed glass. The design also utilizes sensors to turn off lights in unoccupied spaces, and water conservation measures on all plumbing fixtures. Gilbane’s final estimate on the building projected a cost of $44.3 million and within the owner’s budget. Due to good market timing and project planning efforts our GMP to the state came in under budget at approximately $43.6 million. The project was well designed with minor changes and the final price came in at just over $44 million, or about 1% above budget. We did not use all of our contingency and returned savings to the Owner.